Paying compensation for flight cancellations will not be mandatory for airlines. Domestic carriers would have an option to provide an alternate flight to a passenger impacted by cancellation as per the revised draft of the passenger charter of rights. Last May, the civil aviation ministry had proposed passenger-friendly measures including a cap on ticket cancellation fee, increased compensation for loss of life or baggage in accidents and payouts for delays and cancellations. But the proposal was put on hold because of objections from airlines, which felt that the charges will impact their already stretched financial condition. The airlines had also asked the government to maintain a status quo on revisions. 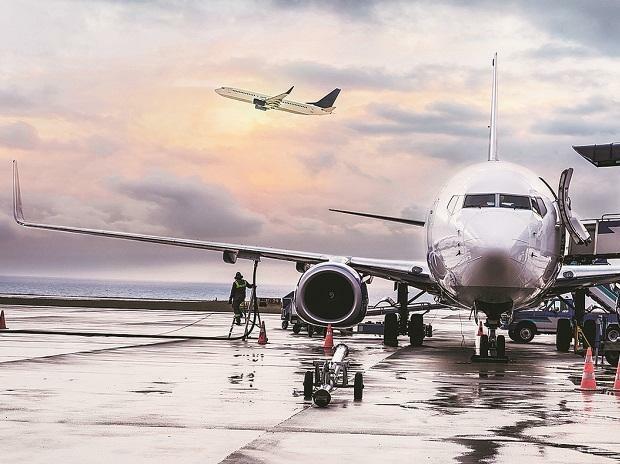 A meeting was chaired by the minister of state for civil aviation Jayant Sinha earlier this month to hear airline and airport operators' concerns and finalise the proposal. The ministry has sought further comments from all the stakeholders and is keen to issue the regulations in the next few weeks. Currently, airlines are required to pay compensation of Rs 5000 - 10,000 to a passenger in addition to a refund of ticket cost in case of flight cancellation. Compensation is payable if the airline does not give an advance intimation to the passenger, which is at least 24 hours before departure. In its initial draft released last May, the ministry has made tweaks in that proposal. Now, as per the revised draft airlines shall either provide alternate flight which is acceptable to the passenger or provide compensation and refund of the ticket amount. On the ministry's revised proposal, the International Air Transport Association has proposed that regulation should be made applicable for departures from India and for Indian carriers only. Federation of Indian Airlines has suggested that airlines first offer alternate flight within two hours of initial departure and an airline would be liable for compensation only if the alternate flight is not suitable. The revised proposal also states that airlines have an option to provide for an alternate flight or full refund in case of flights delays of up to six hours. Also, a proposal to provide compensation for missed connections has been dropped following objections from IATA.
" A balanced view must be taken while introducing the regulations. While it is good to safeguard consumer interest the government should also consider airlines' financial health and impact the regulations will have on them," said an executive from a private airline. The ministry has studied European and US regulations while revising its proposals, it is learnt. Airlines would also be required to provide a lock-in option for 24 hours after booking to allow a passenger to cancel or make amendments without additional charges. Fare difference, if any would be applicable and the facility would available up to seven days prior to departure. Initially, it was proposed to provide the facility up to 96 hours prior departure but it has been revised on airlines' suggestions. Passengers would also be allowed to make corrections in the name printed on the ticket if the mistake is pointed out within twenty four hours. Also, airlines would also be required to indicate cancellation charges on the ticket, as per the revised draft.